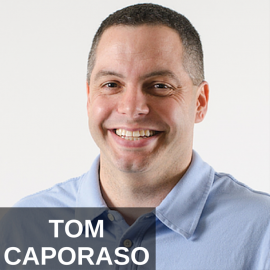 On today’s Speaking of Wealth show, Jason Hartman brings the CEO of Clarus Marketing on to the show, Tom Caporaso. Tom also works closely with FreeShipping.com and talks to Jason about the importance of loyalty programs, what his company offers, and more in this quick 13 minute episode. 1:10 – Jason welcomes Tom on to the show. 1:20 – How can small businesses and entrepreneurs benefit from loyalty programs? 4:05 – What kind of loyalty programs are out there? 8:03 – If the price of the item you purchased drops within 90 days, FreeShipping.com will cover you for that. 9:45 – Costumers have a lot more options now, so giving them great value, product, and customer service is key. 11:50 – The US market loves the convenience of monthly subscription deliveries of daily goods. 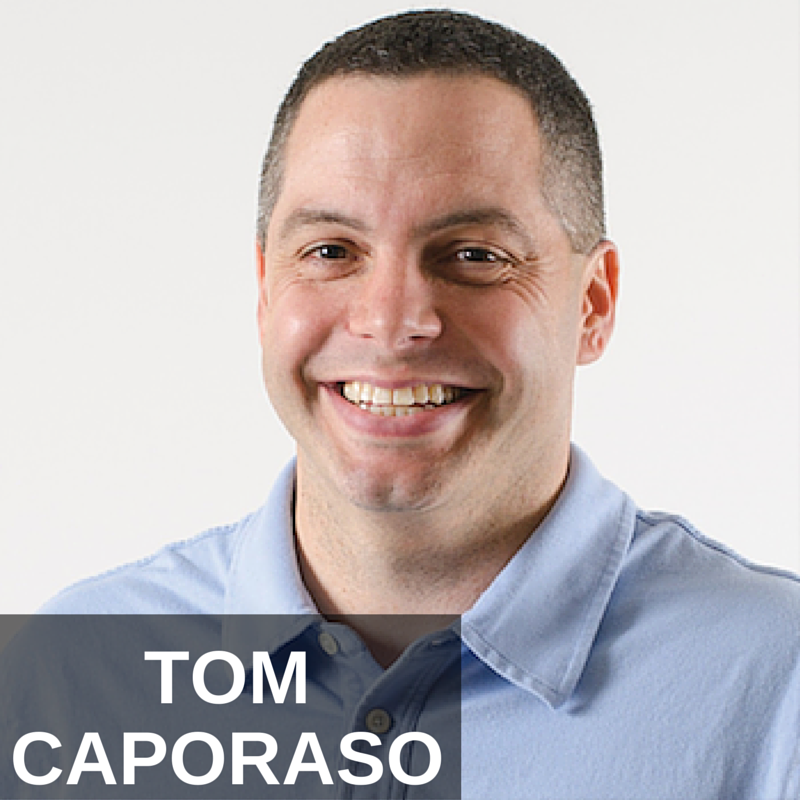 It’s my pleasure to welcome Tom Caporaso to the show. He is CEO at Clarus Marketing FreeShipping.com. We’re going to be talking about some interesting insights into loyalty programs and what I’m calling and maybe Tom will wanna us that is Amazon prime open source version. Tom, welcome, how are you? I’m doing great. How are you doing? Good, good to have you. Where are you located? We’re right outside of Hartford, Connecticut. Fantastic, so tell us about how small businesses and entrepreneurs can benefit from using the loyalty programs that you help them with. So Clarus has been in business for almost 14 years now and we’ve been working with hundreds of retailers in those 14 years and really where we focus the last 2 years around loyalty and how we can help big and small businesses run their loyalty program. So, multi-step approach taking a lot of what we know and a lot of what those customers know about their customers and really building a loyalty solution that we can build and optimize for them. So, tell us about, like let’s drill down on a loyalty solution. What is that? Sure, it depends on who we’re talking with it and I’ll give you a couple of different examples, but it very much is a step approach and really the first step is what are the key goals, what are the KPIs that you track as a small business, how can we ultimately help you obtain those and they’re very different for each of the partners that we work with. For instance, we work with FedEx on our return shipping product, because they want to own the return shipping market. We work with MasterCard on two day, two day shipping by MasterCard, because they want people to use MasterCard more and more. We work with a lot of small and bigger catalogers who wanna drive that average order value up, they wanna drive more repeat customers, they wanna drive more engagement on their customers back to their site or to the catalog. So, the first piece when we go into a new relationship is to better understand what are their goals, what are they currently tracking, and really kind of putting those bench marks in place and then we’ll go in and work with them hand and hand. Sometimes we bring features and functionality to the program, they also bring features and functionality, but Clarus on the back-end does all of that kind of heavy lifting site development, site optimization. In many challenges we do the acquisition marketing for them, so that we can acquire customers into their loyalty program and then we do all that back office, customer service if there’s a fulfillment component. Anything that really happens in the back office is what we do very well. And, I should mention KPIs for those who don’t know, Key Performance Indicators. You mentioned that acronym and I just wanted to make sure people knew that. So, what loyalty programs work best? I mean, can you sort of define like there are maybe three different major types of loyalty programs or six different major types. I mean, we’ve all used points or hotels and airlines or the old punch card that’s now usually on an app on a smartphone. When you go to a brick and mortar merchant, they punch your card and when you get ten you get a free something or other. How many different sort of genres of loyalty programs are there? There’s a lot. You just named a ton of them. Where we’ve been spending a lot of our time and kind of mind is how do we drive more transactions back to that cataloger or small business and we’ve done that a couple of different ways. We’ve used benefits like free shipping or cashback or buy one get one, where there’s a saving opportunity, but we’ve done a lot with saving centers or banks and the banks allow you to either cash them out in points or cash them out to a gift card back to the host brand. It’s on top, really the brand loyalty. The key for us in a lot of those examples that I gave you earlier is how do we drive more transactions, how do we drive that average order value up and that, we’ve found, happens really either through points or through cashback driving back to that brand, so as people continue to use the product, engage in the product, save in the product, that output of money either comes in a gift card, comes in points, or it could come in cash. Why we like points or gift card is that we know ultimately they have to go back to that brand to use it therefore driving more engagement, higher average order value and more transactions. Okay, great. Anything else, any tips you wanna share on loyalty programs and, you know, how they can be more successful for marketers for small business people? Tom: Probably the biggest key for loyalty is not a set and forget. It is a continual optimization of that program, so you really need to understand the consumer, how are they engaging, what benefits are working, what benefits aren’t; what are they using, what aren’t they using, and continually try to add value and optimize those benefits. Secondly, customer service is king. You absolutely want to have a great customer service experience, both online, offline, chat. Most of, actually, all of our customer service is 24/7, 365, live rep. You want that engagement so that if a loyalty customer has a question, they have someone to call, they have someone to chat. Email response times need to be at a minimum under 24 hours. We’re typically around 4, because we want to give that feedback, that continual loop, and get that customer very happy, because we know that when they’re happy they stay with the programs. So, continual optimization, customer service are probably the two top ones on our list. Tell us about FreeShipping.com for a moment, the Amazon prime open source version. I love that, I love that analogy. I bet you’re going to use that and make 2 million dollars on that minimum. I hope you send me a check. What would some big branding agency charge for that? I don’t know, I don’t know. That’s a great idea, but it is the Amazon prime for the rest of the web, so it is a prepaid shipping solution. We are a month to month membership versus an annual like prime. We are very much focused on a couple of key benefits. One is obviously free shipping, which is a tremendous pain point for consumers online. We have also layered in cashback as a big component of the program now. So, if they shop through our site, they get free shipping and they also get 10% cashback automatically. The third benefit is return shipping as we continue to look at e-commerce. One of the big pain points for consumers both in price and just in process is return shipping, so we cover you for return shipping. You can also print and ship a label and drop it off at a FedEx location and then we round out the program with two kind of different benefits. One is a peace of mind benefit called price protection where if you buy something and 90 days later the price drops, FreeShipping.com will cover you for that and the last one is a price comparison shopping engine. So, we pulled in about 100 million skews, you could put in any search item, any skew number, and we’re going to pull that back for you, give you all the options of retailers where you can save money and then also give you free shipping, 10% cashback and know that you’re recovered for return shipping. So, that’s much more of a time saver starting with free shipping and then doing your shopping from there, because you’ve done all your searching on our site. So, it is an e-commerce companion savings engine. We love that people come to us, they start their shopping experience and then go out and buy things at Target and Walmart or Victoria Secret and Best Buy armed with our discounts and our benefits. And, are they shopping on the merchants website or on your website? I’m not sure if I understood that. No, they are shopping at the merchant’s website. So, they start with us, they can do all the searching through our portal, but ultimately they’re making a click out and they’re going to Target to make that purchase and Target’s handling all the shipping and the logistics. Okay. Good, good stuff. Any final tips that you wanna share for small businesses and marketers on how they can implement some of these strategies? You’ve got a lot of big corporate clients, just wanna to see how those can apply down the funnel to smaller businesses. Sure, so obviously we’re a big advocate of trying to drive that loyalty. With the web today, they are so many options out there that you need to drive loyalty for your consumers, so you gotta continually…and that’s a program or if that’s just a great experience from a value and a consumer experience through these small businesses. They need to drive that, because really the consumer today is driving the ship with so many options, so engaging that customer with a great value, a great product, and ultimately great customer service is really the things that we focus on. We very much focus on the loyalty programs side of the house, but as a core piece of doing business today online, you need to have those three attributes all the time regardless if it’s a loyalty program or not. I’ve got one more question for you, but give out your website if you would. Sure, so the corporate site is ClarusMarketing.com and then FreeShipping.com is that prepaid shipping solution that we talked about. Yeah, so for $12 dollars and change per month and that’s free return shipping too? That is, free shipping and free returns. Returns is baked into it. We also have a separate product just solely focused on returns that we launched with FedEx, they’re called Return Saver. That’s ReturnSaver.com. It’s solely focused on return shipping, but return shipping as a benefit is part of our free shipping product. Okay, good. It’s been interesting to watch how the subscription, I don’t know, the box industry maybe, where people get these boxes of different things every month whether it be pet stuff or clothing or, you know, cosmetics or skin care products or just whatever you can think. You know, tech gadgets now. I mean, just travel things that travels love. You know, anything that you can imagine under the sun. It is amazing to me how that has just seemingly, from my consumer perspective, just been a booming new thing. Well, we agree. We see the same thing happening with the Burt Boxes and Dollar Shave Clubs of the world. It is ease of use, you buy it once and you ultimately get that every month. The interesting part and I think one of the reasons why there are so many of them is that they’re very niche focused. The Dollar Shave Club, you’re getting razors and that’s it. So, there’s a lot of different ways that you can go. I think it talks a little bit to the US consumer and wanting that convenience and not having to worry that they have to go to CBS every month to get those razor and ultimately they come in the mail and they don’t have to do anything else. So, there’s absolutely that convenience part of it. There’s the value part of it that you’re getting the same thing at a good price in the box. Some of these actual continuity programs surprise you each month. So I think there’s part of that, getting a present each month, so to speak, that you don’t know what you’re getting; so there’s some of that excitement, but you’re right, it has absolutely ballooned. It’s interesting to watch these subscription programs. Some are working very well, some aren’t, and some have actually gone away. It’ll be interesting over the next year or two to see where it all nets out. Tom, thank you so much for joining us. I appreciate it. Thank you, thank you Jason.